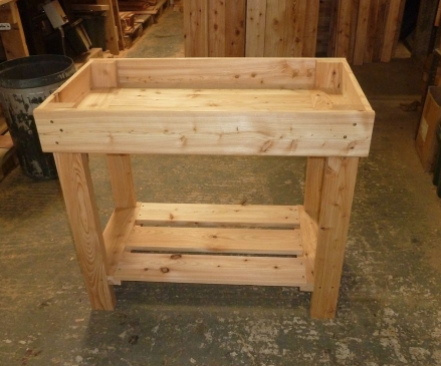 If you’re looking for a wooden work bench we have a selection below crafted from FSC sustainable timber. This wood allows us to create a truly durable and sturdy product that can be used for a number of different purposes.The work bench is suitable for both interior and exterior use. 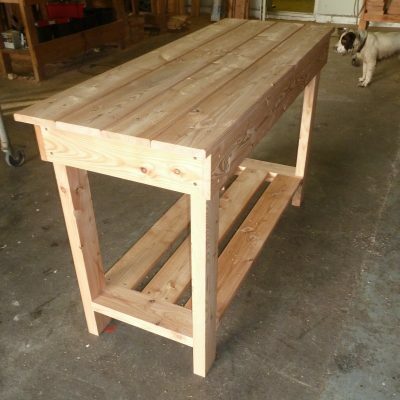 The new design carcass provides for a robust and sturdy workbench together with an aesthetically more pleasing product. 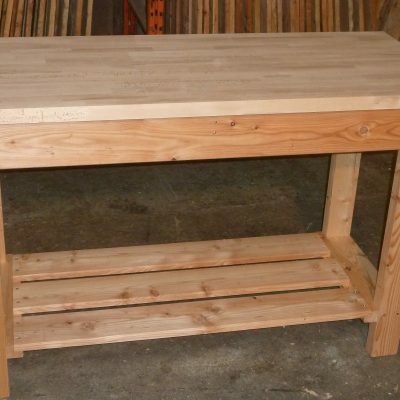 The work bench adopts a sturdy larch carcass made from fully planed selected larch timber. 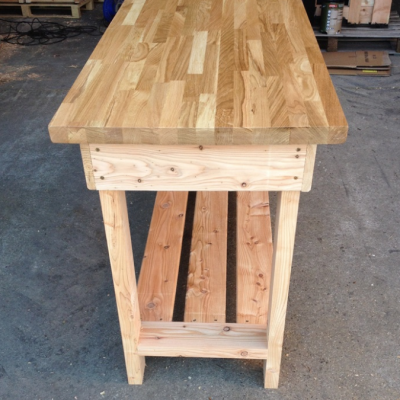 The worktop is available in 21mm larch boards or 40mm solid beech and oak. The worktops are from a FSC source and are made up of 40mm staves. They provide a quality work top for internal or external use. We recommend oiling the worktop with Danish oil or similar to aid to the longevity of the work top. The size of your work bench can be made to any bespoke size and we are proud to be able to adapt our expert craft to create a work bench that will be perfect for your space and requirements. We have years of experience working with this wonderful wood and pride ourselves on consistent quality. Our work benches with 40mm tops are perfectly suited for even the largest of vices and enable you to make the most out of your work bench. If you have any questions about these products or any other items you have seen on our site you’re more than welcome to get in touch. We’re always happy to help and offer advice to all of our customers.